Greenhouse Fabrics: Our New September Books are on the Way! Our New September Books are on the Way! Our promise continues, of providing you with New Fabrics Every Month! The latest in multi purpose and drapery books are coming this September. Colors saturate. Patterns satiate. 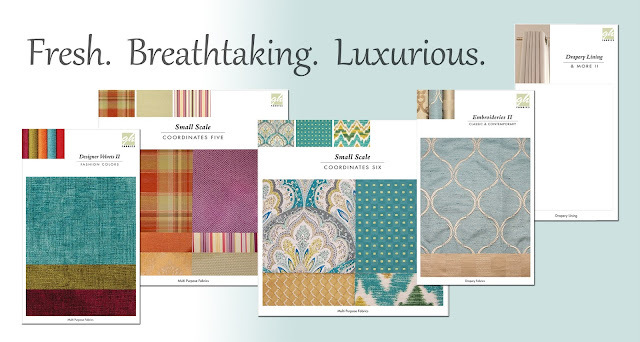 Breathtaking embroideries, luxurious velvets, and fresh geometrics fill these books with beauty and wonder. Examine closely. You will see the reflection of inspiration mirrored by each fabric. Visit GreenhouseFabrics.com to view these great new fabrics and all of our new sample books for 2013!